‘Must Stay New Zealand’ website has been created to provide A comprehensive directory of quality accommodation throughout New Zealand Our goal is for the site to be a success with all domestic and international visitors so that they truly enjoy their New Zealand experience. Both domestic and international travellers will be able to use this resource to plan their itinerary for accommodation and the activities throughout New Zealand before they arrive. If already travelling within NZ then they can check out all the accommodation that suits their requirements from Luxury Lodges, Bed and Breakfast, Hotels , motels, Backpackers and campsites and the facilty to check out the activities and attractions there is to experience as they travel throughout each region with the opportunity to spend more nights within that area. This resource of local information on the Must Stay New Zealand website can be linked to by Activity operators websites showcasing where there is to stay in each region which encourages travelers to stay longer. Vehicle rental companies, tour companies, overseas travel agencies and airlines will also benefit from this resource. The regional overview video is placed at the top right of the page for each region of the ‘must Stay New Zealand’ website with a link to ‘MUST DO’ activity providers information listed directly below. This then links to a second page with more information about the operator along with links to their social media and links to ‘Book Now’ and to ‘Your Website’. So make your ‘bucket list’ now for some of great places to stay in New Zealand. 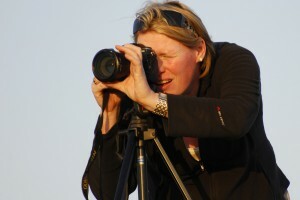 Director and creator of ‘Must Stay New Zealand’ and ’Must Do New Zealand’ Ruth Lawton has specialised for the last ten years as a freelance photographer and a professional tourism and commercial photographer for many operators throughout New Zealand providing images for both brochure and web. Clients include: Explore NZ, Whale Watch Kaikoura, Intercity, Salt Air Scenic Flights, Waitangi Treaty Grounds, The Rock Overnight Cruise, The Kauri Museum, Auckland Adventure Jet, Auckland Jet Boat Tours, Destination Northland, Te Hana Cultural Village, the Department of Conservation and also providing both landscape and adventure imagery for various magazines and tourism promotions. 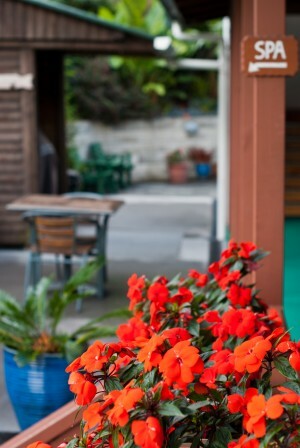 Ruth also specialises in property and accommodation photography for clients such as the Millennium Hotel Group throughout New Zealand and many other individual motels, hotels, luxury lodges, B&B’s and holiday homes throughout New Zealand. Having traveled extensively around New Zealand I saw the need for a website that was totally focused and dedicated solely to the best tourist activities and accommodation that New Zealand has to offer from the relaxed to the extreme adventures. A website that was not cluttered and combined with irrelevant other products that could distract visitors attention from the site. Yet this website can still be used as a promotional tool and can be utilised by activity providers which showcases all the great places to stay within their region. I combined my resources with John Watkinson of ’Action Adventure Videos’ who owns an extensive stock footage library of both regional, accommodation and tourism activity product throughout New Zealand. bringing a huge asset to this website. John has a vast knowledge of the tourism industry in New Zealand having been involved for over 28 years as an accommodation provider and tourism operator. John created his own promotional material and video content for successful international marketing, selling the busines in the year 2000 he set up Action Adventure Videos pursuing a lifelong hobby. From his extensive library of stock footage John has provided video content and video editing services for clients such as Air New Zealand, Tourism New Zealand, Destination Northland, Vanuatu tourism, Solomon Islands tourism, Vanuatu airlines and International TV documentaries and numerous other clients. Action Adventure Videos have created numerous video promotions for many of our New Zealand tourism operators, such as Explore NZ both in Auckland and the Bay of Islands, Aroha Luxury New Zealand Tours, Destination Northland, Kaikoura Tourism, Whale Watch Kaikoura, Wings over Whales, Auckland Adventure Jet, Vidboost TV, Air New Zealand, Tourism New Zealand, Auckland Jet Boat Tours, Hokitika Wild Food Festival, Waitangi Treaty Grounds, The Rock Overnight Cruise, The Kauri Museum, Salt Air, Southern Discoveries, Te Hana Cultural Village, Auckland Jet Boat Tours and the Department of Conservation. Overseas John has been involved with promotions for Solomon Islands Tourism, Solomon Airlines, Vanuatu Tourism and Vanuatu Airlines Inflight..
Action Adventure Videos also provide video production services in the commercial sector for: Maritime New Zealand, Ministry of Transport, Adventure Smart, Transpower, Telecoms, Auckland City Council, Environment Waikato, Environment Bay of Plenty, Greater Wellington Regional Council, Environment Canterbury, Environment Southland, Commercial Ship Safety and other commercial and industrial areas. We chose Steve Gardner from Deepweb for building our website. A web development company operating from Kerikeri in the Bay of Islands, Steven has provided us with development, design and technical expertise on several websites including the’ Must Do New Zealand’ and the more recent ‘Must Stay New Zealand’ site.